It’s Bjerk, To Rhyme With ‘Twerk’, Not ‘Fork’. Music retail could prove to be a real winner some days. The customer was looking for Bjork‘s ‘It’s Oh So Quiet‘, but you knew that already. Since the last time I looked, Bjork has released about a gazillion albums. Some as apps. Some as super-limited thingies. And some as good old-fashioned, fully-fledged proper physical releases. She’s just rush-released her latest, Vulnicura, after, quelle surprise, it found itself all over the internet ahead of its release date. Something really should be done about that, but stone me if I know the answer. I kinda lost my way with Bjork a wee bit round about her Vespertine LP in 2001 (gulp!) By then I was immersed in the world of portable digital media (a mini disc player – still brilliant, if y’ask me) and with the immediacy of it all, I suppose my attention span started to wander. No longer could I focus on subtleties and slow-burning things of beauty – I wanted melody and instant catchiness and I wanted it NOW! This is a common theme for the digital generation. Don’t like the song? Skip it. Don’t even download it. Don’t own it. Ever. Can’t play that tricky riff on Sweet Home Alabama? Pop over to ultimateguitar.com or YouTube, where someone better than you will show you how it’s done. Having trouble getting past those pesky guards in the latest Sonic the Hedgehog platform pleaser (they still have Sonic the Hedgehog, aye?) A quick Google will sort you out with a ‘cheat’. That’s why the current vogue for vinyl is pleasing – it might help slow things down a bit. Let folk take time to appreciate what they have, not what they’ve not. Oh aye. 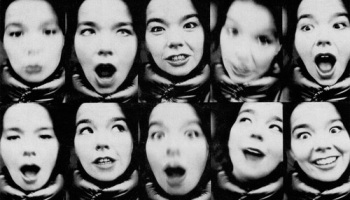 Bjork. I loved The Sugarcubes. Saw them live a couple of times early on and bought all the records. Life’s Too Good is still an insanely brilliant listen, one that has easily stood the test of time. The Sugarcubes were bonkers, but in a good way. Formed out of an Icelandic arts collective, they were a kinda prog version of punk, too far away from the epicentre of pop culture to be totally influenced by fads or fashions. The band could’ve been any mid-late 80s band. Plenty of chiming guitars, polyrhythmic drums and tasteful keyboards. But there, any similarities ended. 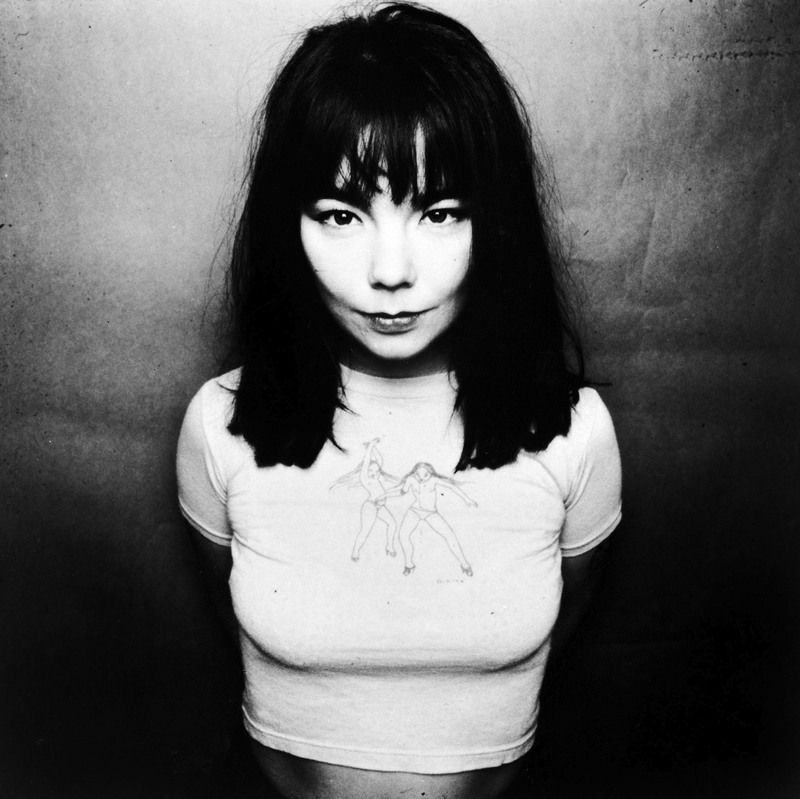 On vocals there was Bjork, a one-off singer whose vocals surfed the stratosphere somewhere between Kate Bush and Liz Fraser. On alternative vocals, when he wasn’t blasting his trumpet in any key but the right one, was Einar, a shouty, scary, skinhead of a man. One time after a Barrowlands show we were all at Level 8, Strathclyde Uni’s indie disco. In walked most of The Sugarcubes. No Bjork though. Fuelled on cheap drink and the daft idea that the band had time for their fans, I went up to Einar and offered him my hand. “Great show!” I said. I meant it too. Einar stared me down for a good, ooh, 15 to 20 awkward seconds, my hand still out to greet him but unshaken. Looking me straight in the eye he sung to me. “We will! We will! ROCK YOU!” Eyes ablaze, he spun round and onto the dancefloor where he pogoed to Rise by PIL before disappearing out a side door, never to be seen again. I remained shaken. And stirred. That debut album is full of weird ‘n wonky prog/punk. Anytime I found myself with a bass guitar in my hand (not very often, if truth be told), Blue Eyed Pop was my riff of choice. I love the way Bjork soars over the top of the melody towards the end – “Something wonderful’s about to happen,” she sings. Magic. Better still was Coldsweat, the band’s second single. ‘Hot! Meat! Metallic! Blood!’ goes Einar. What he meant was anyone’s guess, but enough folk bought it to take it to Number 1 on the indie chart, if such a thing is a barometer of hip opinion. Bizarrely, the band stuck a twangin’ countryfied version of Coldsweat as the last track on their patchy second LP, Here Today, Tomorrow Next Week! More Rawhide than skewed alt/pop, make of it what you will. My favourite Bjork solo track? That’s easy. All Is Full Of Love. Slow, sweeping and graceful, as cool as the land from where it was conceived. The track itself suffered from a multitude of twitchy, glitchy, contemporaneous remixes, but the straight-forward album version is the way to go. I still say Bjork, as in ‘fork’. The same as I still rhyme Brett ‘n Bernard’s old band with ‘bread’ rather than ‘played’. It’s a Scottish thing.